Kinesio tape is an adhesive cotton athletic tape with an elasticity that allows it to stretch up to 120% to 140% of its original length without any tension. 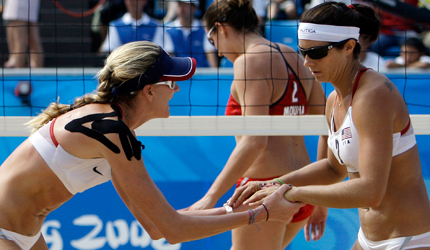 The Kinesio tape is claimed to reduce swelling, pain and decrease muscle spasm. Invented by a Japanese chiropractor, Kenzo Kase, his taping technique has been used by sports medicine professional world-wide. measured muscle activity over 5 repetitions of 3 seconds of muscle contraction followed by 3 seconds of muscle relaxation. and 96 hours to determine if there was a lasting effect from the Kinesio tape. Interesting, they found that there was still an increase in the peak muscle torque and muscle recruitment at 72 hours from the initial Kinesio tape application and 48 hours after removing the Kinesio tape. This finding would suggest that the mechanical properties of the Kinesio tape itself while on the skin are not the only contributing factors to increasing muscular activity. This study, while apparently well done, only targeted subjects without any knee pain or injury. It would be have been interesting to compare uninjured and injured groups in this study. A more recent study published in the Journal of Sports Physical Therapy in July 2008 by US Army physical therapists found the Kinseo taping helped with increasing shoulder range on motion in subjects diagnosed with rotator cuff tendonitis. The subjects studied either had Kinesio tape applied in a specific pattern to the affected shoulder or had “sham” Kinesio taping to the shoulder that was not designed to facilitate and improve shoulder range of motion. The Kinesio taped subjects demonstrated n immediate measurable increase in their pain-free range of motion following taping in comparison to the “sham” Kinesio tape group. The study would suggest that Kinesio taping of patients with rotator cuff tendonitis may experience an immediate measurable improvement in their pain-free range of motion. It would be interesting to continue the study for a longer time period to quantify how long the improve lasts – if only for the duration of the Kinesio tape application or longer as demonstrated in the first study. Another recent study form the Journal of Science and Medicine in Sport looked at the effect of Kinesio tape on muscle function and strength of the anterior knee and thigh of healthy college kickboxers from the National College of Physical Education and Sport in Taiwan. Any athletes with a history of knee pain or injury within 3 months of starting the study were excluded from the study. The researchers used a Y-shaped Kinesio tape on the dominant-side quadriceps following Kenzo Kase’s Kinesio taping manual and tested concentric and eccentric quadriceps and hamstring contraction two different speeds. The measurements were taken before Kinesio taping, immediately after Kinesio taping and then 12 hours after the Kinesio tape had been applied. The researchers found that there was no significant measurable difference in quadriceps and hamstring muscle strength before and 12 hours after Kinesio taping. The researcher did attempt to determine if there was facilitation or inhibition of the quadriceps by also measuring the antagonist hamstring muscle group. One limitation of the study is that it did not measure a longer time interval after the Kinesio tape application to determine if a longer time was required before a measurable difference was found. Doctors often use x-rays to diagnose conditions, such as arthritis, cancer, osteoporosis, and bone fractures or dislocations. Occasionally, patients must ingest or be injected with a substance to get a very detailed image of the internal organs. In some cases of cancer, radiation therapy—very high doses of x-rays—is used to kill the cancer cells. X-rays are very helpful diagnostic tools, but excess exposure to radiation is dangerous. Different body tissues absorb various amounts of x-rays. Skin, fat and muscle, for example, allow more x-rays to pass through, but bones are denser, and they absorb more x-rays than soft tissues do. Excess absorption of xrays can change human DNA and make cells abnormal—and possibly malignant. X-rays can help determine the necessary course of treatment and reveal if some underlying conditions might interfere with it. 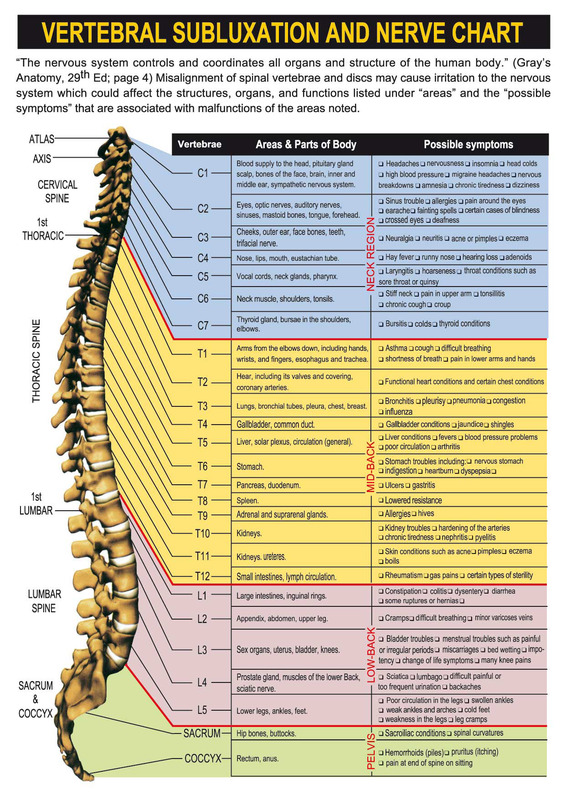 For example, patients often come to doctors of chiropractic after having suffered an injury. In many such cases, x-rays are necessary to exclude the possibility of more serious health problems. X-rays are also recommended in older patients— for example, to help detect the probability of osteoporosis—as well as in patients with a history of certain types of arthritis, tumors and many other conditions. X-rays are colorless, odorless and tasteless, so you will not see, smell, or taste them. In addition, you will feel nothing as they are taken. Since x-rays penetrate all matter to some degree, scientists have developed modern techniques and equipment that have minimized x-ray exposure. Your doctor’s x-ray equipment is inspected for safety after it is installed, and it must pass periodic state inspection. 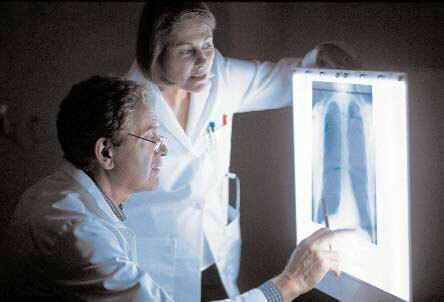 Your doctor will order only those x-rays that are absolutely necessary for your condition. He or she will do everything possible to protect your body from unnecessary radiation, using lead shields and aluminum filters when appropriate. Your doctor will inform you of the results of your xrays, history and physical examination as soon as possible. Don’t hesitate to ask questions during your examination and treatment. Your safety, comfort, and concerns are of paramount importance to your doctor. Keep track of when and where you had x-rays taken in the past so you can avoid having the tests repeated—and lessen your radiation exposure. After 7 to 10 years, or when a child reaches the age of 18 to 21 years, whichever is longer, health care facilities may destroy radiographs, so you may want to obtain a copy to keep in your records. At some point in the future, comparing the old x-rays with the new ones may help your doctor understand your history more clearly. If you are a woman, tell your doctor if you might be pregnant. The doctor will also likely ask about your last menstrual period to assure that it is safe to take the radiographs. Remove any clothing over the part of the body to be x-rayed. If necessary, you will be given a gown and sometimes a protective lead drape to shield the rest of your body. Remove all jewelry from the body part to be xrayed. The metal in the jewelry may obscure the image. Usually, at least two views of a body part are taken. In some cases, more views may be necessary. Your doctor will perform only the minimum number of views that he or she considers necessary.